The Nifty recouped morning losses and climbed 10,500-10,550 levels to close just a shade below its crucial resistance levels of 10,600 levels on November 13. Robust IIP data for the month of September, cool off in inflation numbers as well as fall in crude oil prices added to the tailwind. The strong rally seen in the index took shape of a Piercing pattern which signals a temporary halt to the downtrend. The pattern is formed by two consecutive candlesticks. The first candlestick is a strong red candle or a bearish candle which is followed by a green or a bullish candle. 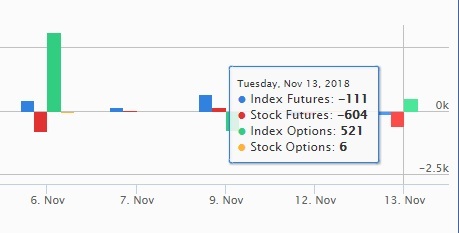 The bullish candle should cover at least half of the previous day’s red or bearish candle. It is a potential signal for a reversal. 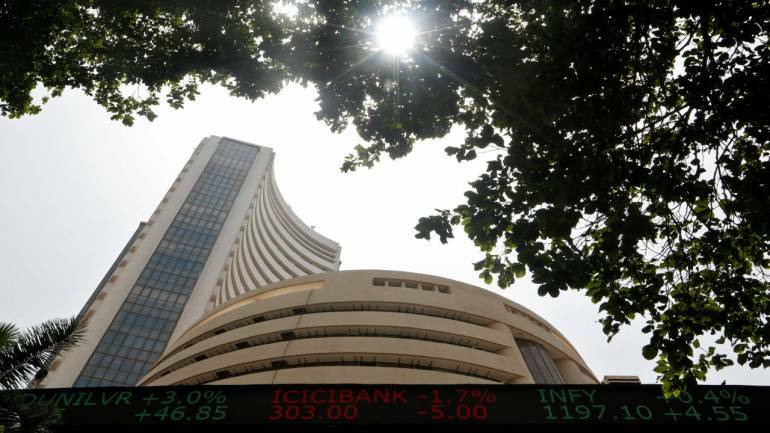 The S&P BSE Sensex recouped previous session losses and reclaimed 35000 while the Nifty rallied over 100 points and reclaimed 10,550 levels on closing basis which is a positive sign. On the upside, 10600 is acting as a crucial resistance level for the index. This is the fourth straight session in which we saw Nifty facing selling pressure, the moment it comes near 10600-10650 levels. The Nifty closed at 10,582.5 on Tuesday. According to Pivot charts, the key support level is placed at 10,483.27, followed by 10,384.03. If the index starts moving upwards, key resistance levels to watch out are 10,638.97 and then 10,695.43. The Nifty Bank index closed at 25,768.6 on Tuesday. The important Pivot level, which will act as crucial support for the index, is placed at 25,503.3, followed by 25,238.0. On the upside, key resistance levels are placed at 25,915.2, followed by 26,061.8. 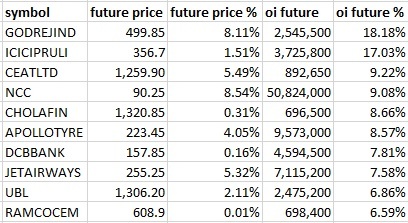 Maximum Call open interest (OI) of 32.38 lakh contracts was seen at the 11,000 strike price. This will act as a crucial resistance level for the November series. This was followed by the 10,800 strike price, which now holds 28.64 lakh contracts in open interest, and 10,700, which has accumulated 26.04 lakh contracts in open interest. Maximum call writing was seen at the strike price of 10,900, which added 72,000 contracts. Call unwinding seen was seen at the strike price of 10,700, which shed 5.04 lakh contracts, followed by strike price of 11,000, which shed 1.77 lakh contracts and 10,500, which shed 1.52 lakh contracts. 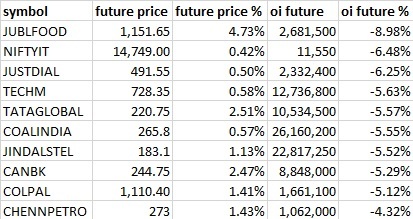 Maximum Put open interest of 34.15 lakh contracts was seen at the 10,200 strike price. This will act as a crucial support level for the November series. This was followed by the 10,500 strike price, which now holds 24.31 lakh contracts in open interest, and the 10,300 strike price, which has now accumulated 23.12 lakh contracts in open interest. Put writing was seen at the strike price of 10,200, which added 4.12 lakh contracts as well as 10,300. This strike price added 3.9 lakh contracts, while 10,400 added 3.71 lakh contracts. Put writing was seen 27,000 contracts at the strike price of 11,000. Foreign institutional investors (FIIs) sold shares worth Rs 494.95 crore and domestic institutional investors bought Rs 335.78 crore worth of shares in the Indian equity market on Tuesday, as per provisional data available on the NSE. Jet Airways: Shaastra Securities Trading exchanged 22.55 lakh shares at Rs 250.72-250.87 apiece. Crossland Trading traded 13.72 lakh shares at Rs 250.57-250.61 apiece. Talwalkar Fitness: Walfort Financial Services bought 2 lakh shares at Rs 43.6 apiece. Speciality Restaurants: The company held an interaction with Paradice Investment on November 12, 2018. J Kumar Infra: The company will hold an analysts’ call to discuss financial results on November 14, 2018. Narayana Health: Representatives of the firm met analysts from Citigroup on November 13, 2018. AU Small Finance Bank: The lender met representatives of Amansa Capital and Buena Vista Fund Management in two separate meetings on November 12 and 13, 2018. Inox: The company will meet Capital Investment on November 14, 2018. Bharat Forge: The company will be meeting multiple investors between November 14 and 16. 2018. Just Dial: Helios CM, Taiyo Pacific Partners and Prusik IM will meet the management on November 14, 2018. Indian Hotels: The company will hold analysts’ meet to discuss financial results on November 14, 2018. Everest Industries: The company will meet Mohnish Pabrai of Pabrai Investment Funds on November 15, 2018. Shemaroo Entertainment: The company will be meeting Stone Forest Capital on November 14, 2018. PVR: The company met Tantallon India Fund, Sloane Robinson LLP, and Halo Investment Management on November 12 and 13, 2018. Motilal Oswal: The company met Alquity Investment Management on November 13, 2018. Marico: The company met multiple investors on November 13, 2018. Pidilite: Representatives of the company will meet Wasatch Advisors and Capital World on November 14 and November 30, 2018, respectively. 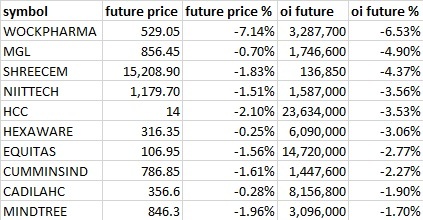 Key earnings: Coffee Day Enterprises, Cox & Kings, Vodafone Idea, Indian Hotels, Infibeam, JK Lakshmi Cement, Mahindra & Mahindra, Motherson Sumi, Page Industries, PC Jeweller, Rain Industries, SpiceJet, Ujjivan Financial Services and Unitech. Entertainment India: The company posted a fall in net profit at Rs 98 Cr down 18 percent from last year at Rs 119.2 crore. JSPL: Reports net profit of Rs 279 crore against net loss of Rs 498 crore last year. Dilip Buildcon: The company reports a fall of 67 percent in net profit at Rs 83.2 crore against Rs 254.9 crore. Fortis: IHH acquires controlling 31.1% stake for Rs 4,000 crore. 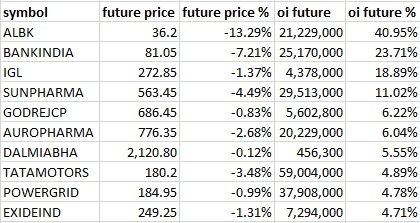 For November 14, 2018 Adani Power and Jet Airways are present in this list.